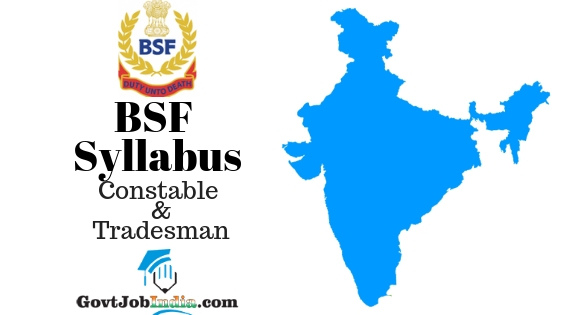 BSF Constable (Tradesman) Selection Procedure 2019– All candidates who are looking for the BSF Tradesman Syllabus and BSF Constable Exam Pattern must note that given below is the entire BSF Selection Process in detail. The Border Security Force (BSF) has already declared the selection procedure of the Constable or Tradesman Vacancy and candidates can now start familiarizing themselves with what they have learned for this recruitment. In order to secure a good rank in the procedure, candidates are urged to browse through our article. If you are one of those who applied for the recruitment and is looking to prepare for the BSF vacancy 2019 with full vigour, then nobody could have made it simpler. We, at GovtJobIndia.com, have made this process easier and a whole lot simpler for everyone. All you will have to do is speed read through the entire article and then prepare how we tell you to. This will definitely enable you to secure this BSF govt job. Furthermore, we have attached the BSF Constable Syllabus PDF which can be used to study for the job even when you are offline. All you will have to do is download the File onto your personal device and use it even when the internet connection is unsteady. In addition, we have also compiled a pdf of the portion in Hindi to aid our native Hindi readers. You can download it from the section at the end of the page which is the BSF Tradesman Syllabus PDF in Hindi. 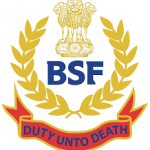 The Border Security Force (BSF) had published a recruitment notification for the posts of Tradesman or Constable and thousands of candidates must have applied for the BSF Constable Tradesman Vacancy 2019. Now that you are well versed with the target of this article, let us move on to the recruitment detaisl. After this, we will go through each of the parts of the BSF selection process in depth. Physical standards for the posts of constable are given below for both male and female participants. The next part of the recruitment will be the Physical Efficiency Test and the details of this part is given in the following section. Candidates will have to run a race and complete in the given time. This will be only qualifying in nature. These are some of the main documents which you will need to carry with yourself to the document verification centre for the BSF Selection. Please note that when you carry these documents, carry photocopies of them as well, just to be sure. All those who qualify for the PST and the PET and show all the required documents in the documentation procedure will be filtered into the trade test part of the process. In the BSF trade test, you will have to showcase your skills as requested by the organisation. This will only be qualifying in nature. No marks will be awarded for this. Note: Candidates can only appear for ONE Trade test which will be according to the ones you have opted for in the application form. Note: The questions for the written exam shall be in Hindi and English. You can opt for the language in which you wish to attend the exam in. Hope you found this article about the BSF Tradesman Syllabus and Exam Pattern 2019 informative? If yes, share the BSF Bharti Syllabus PDF attached below with all those who might be interested in this. Also, in case you have any doubts related to the www.bsf.nic.in Selection Procedure 2019, comment below and let us know and we will help you as soon as possible. In conclusion, let us suggest more jobs to you according to your preference. If you are you searching for 10thpass govt jobs or other Police jobs in all states of the country, you can view all of them by going to the GovtJobIndia.com webpage.